We appear to be in a weather pattern where it’s going to rain every day for the next two weeks. 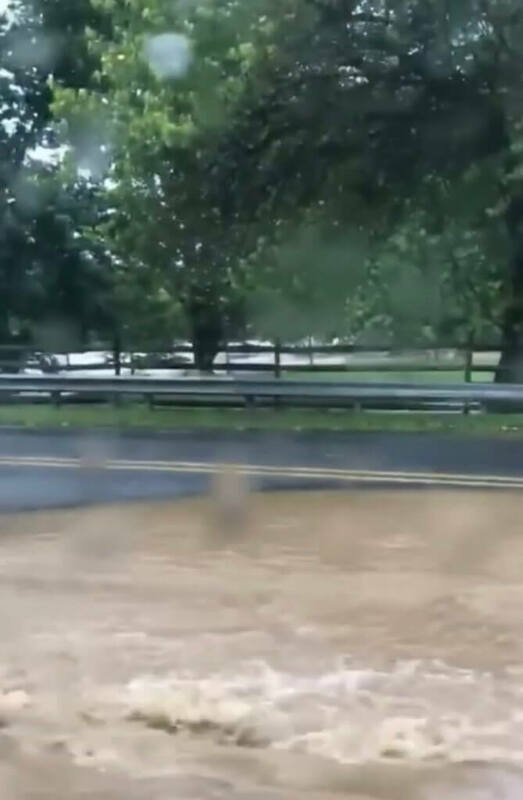 With the ground saturated and local rivers and streams at their banks already, Chester County residents will be presented with the deadly danger of Flash Floods while driving. The Brandywine River, the Red Clay Creek and other local rivers and streams can present Flash Flood hazards at a moments notice. “Flood Watch” means that a flood may occur in your area while “Flood Warning” means that they are already happening and you should be prepared to deal with them. 4- If you approach a roadway that is flooded, TURN AROUND SO YOU DON’T DROWN! 6- Beware that as little as 6 inches of flowing water can knock you to the ground. 8- Flood waters can conduct electricity from downed power lines and lead to electrocution. Each year, more deaths occur due to flooding than from any other severe weather hazard, including tornadoes and lightning. Follow these tips and use common sense to stay safe during this wet weather! Tim Rayne is a Pennsylvania Personal Injury Lawyer with the law firm MacElree Harvey. For over 20 years, Tim has been helping injured victims of accidents understand their legal rights and receive fair compensation from insurance companies. Tim has law offices in West Chester and Kennett Square Pennsylvania and can be reached at [email protected] or 6108400124.